Today marks 4 weeks since I had surgery to fix an umbilical hernia. My weight has returned to what it was pre-surgery (I gained 4 pounds directly afterwards due to water retention and inflammation). I am pleased with how I have been able to regulate my weight whilst my activity level has been reduced. I have gradually done more and more in order to promote recovery. I have continued to hold weekly Mums Fitness classes which has enabled me to perform cardio/resistance circuits using low weights. I have also been going to daily walks with my son (whether permitting) which has helped with recovery. I have also consistently performed the following exercises to stretch and strengthen muscles. 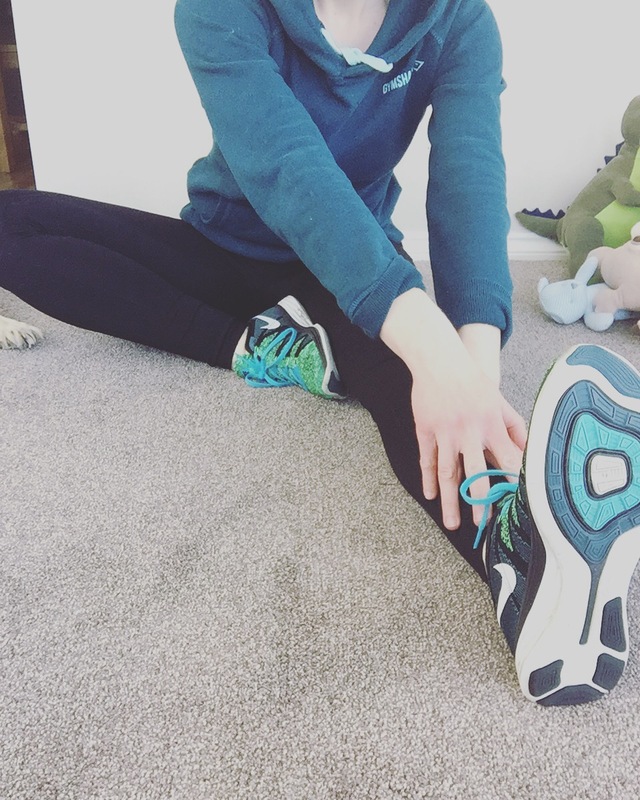 I have definitely noticed reduced mobility and so I will be focusing on improving this before going back in to my pre-surgery training routine. 1. 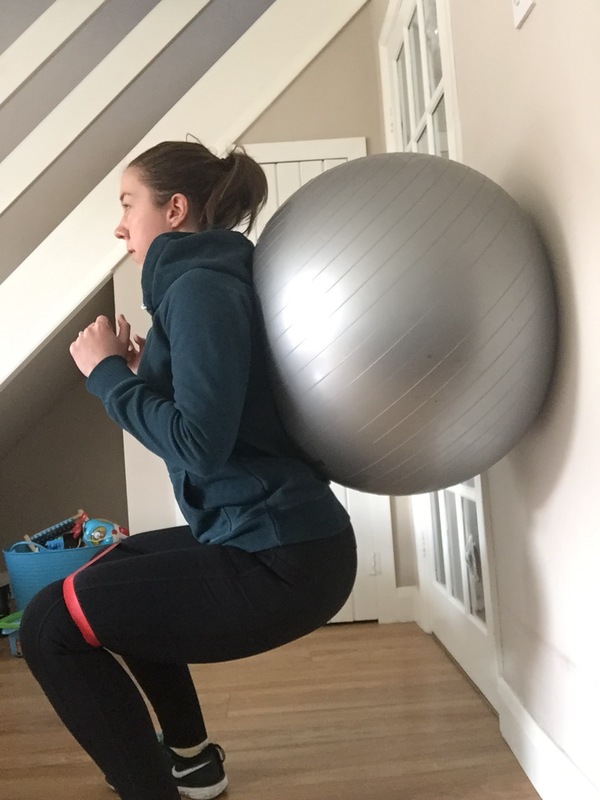 Squats – using an exercise ball against the wall. 3 sets of 15 reps. (Resistance band above knees to maintain good form). 2. 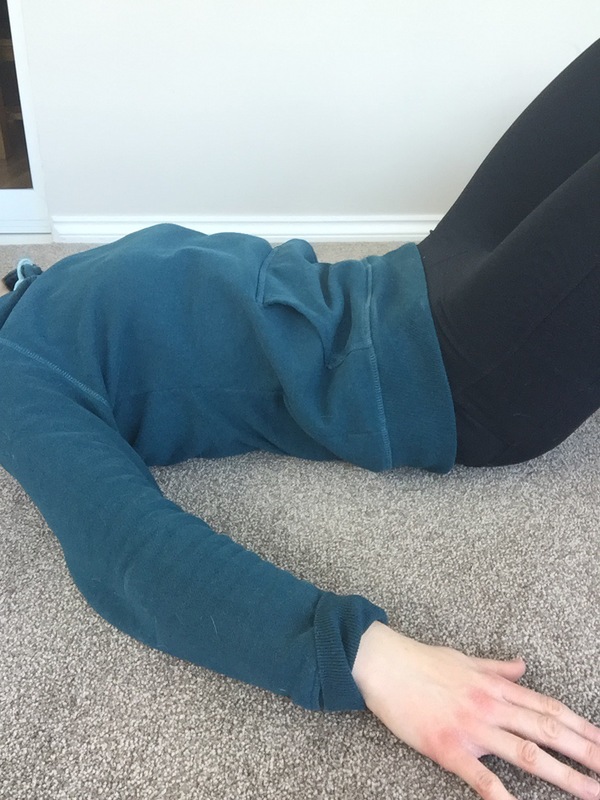 Hamstring stretch – maintaining a straight back, bending from the hips, hold for 15-20 seconds. 3. 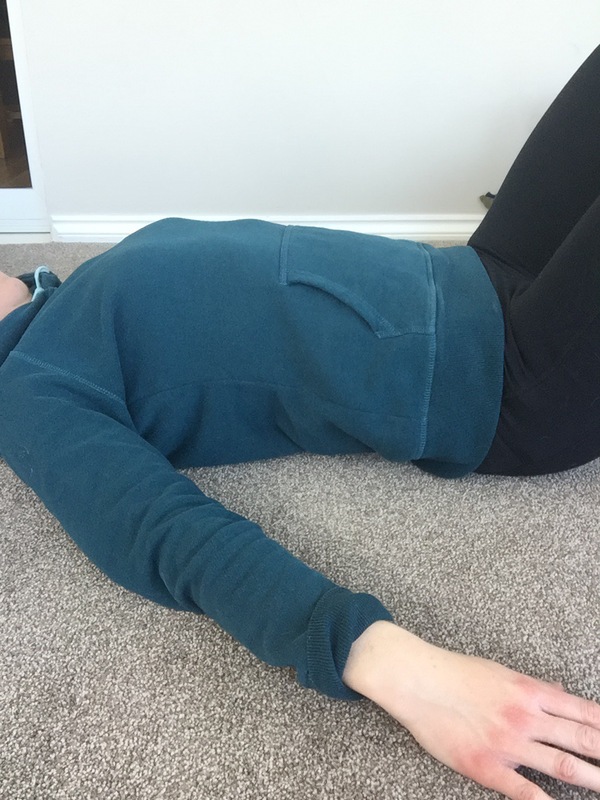 Pelvic tilt – exhaling as I flatten my lower back in to the ground, imagining that I am pushing my belly button through to the ground. Steady breathing whilst holding the position for a couple of seconds before relaxing. 3 sets 15 reps.
4. 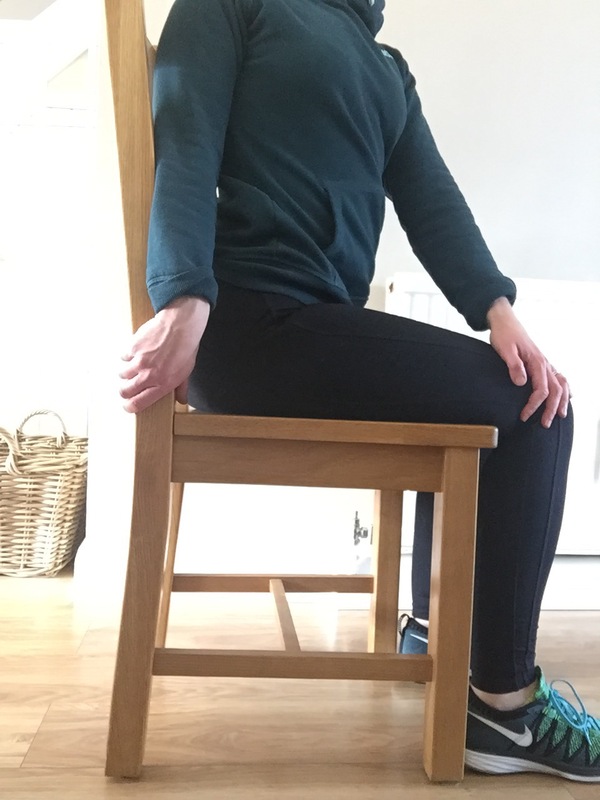 Torso twists – sitting on a chair, twisting to one side, placing opposite hand on knee and other hand on chair to hold the position. Twisting only to where it is comfortable, maintain steady breathing, holding the position for 10 seconds and repeating on the other side. Mentally it is tough doing exercises that you don’t feel are benefitting you, but I know that they are actually strengthening the muscles around my operation site as well as regaining some mobility. If you have any injuries/pain then make sure the exercises that you do are appropriate. Seek advice first if necessary. Previous postFinancial Health Check | I love a good spreadsheet!